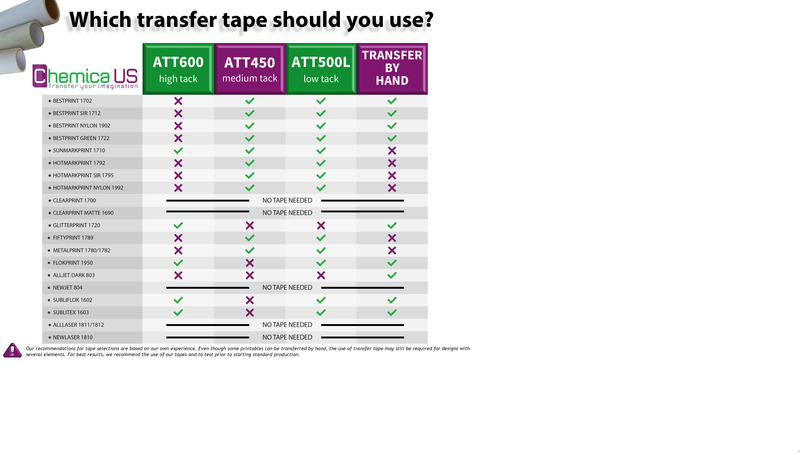 Below is a chart that will help you to determine the best tape to use with our printable materials. Our recommendations are based on our own experience. Even though some printables can be transferred by hand, the use of transfer tape may still be required for designs with several elements. For best results, we recommend the use of our tapes and to test prior to starting standard production.